Zenit: Doctor Developed NFP Method, Fights Infertility According to Church Teaching, Asks: Where Is Church Support? On the figurative eve of the beatification of our namesake, the late Pope Paul VI, I have some very exciting news. 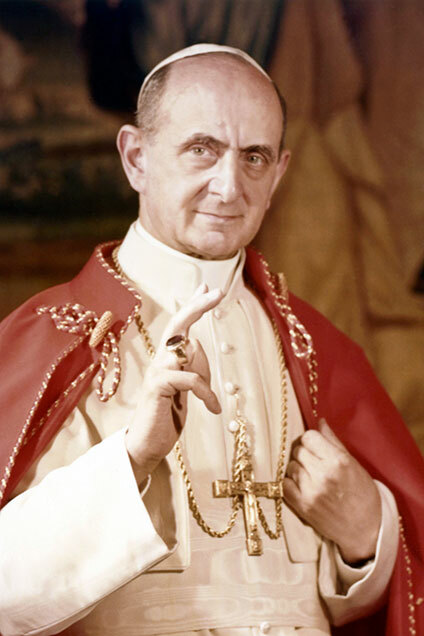 I have just been informed that I will be designated as the reader of the English language petition of the Prayers of the Faithful at the Beatification Mass of Pope Paul VI! This is truly an honor — I never imagined, when I first read his historic encyclical letter Humanae Vitae in 1968, that I would be someday be a part of this great man’s legacy. He was such a staunch defender of the faith, and the courage he demonstrated continues to serve as a source of inspiration to both the Institute and to me personally. When I first read Humanae Vitae, I was a senior medical student attending the University of Minnesota, and Pope Paul VI’s words struck a real chord with me, both as a Catholic and as a soon-to-be member of the medical profession. In the letter, he appealed directly to doctors and healthcare professionals to “pursue only those solutions that are in accord with faith and right reason.” This compelled me initially to conduct research on reproductive health care solutions, which led to the development of our two breakthrough reproductive technologies of NaProTECHNOLOGY and the Creighton Model FertilityCare System, and later leading to the establishment of the Pope Paul VI Institute. Together, we have made tremendous strides since we were founded, but we still have a lot of work left to do. Please continue to keep us in your prayers as we work to bring the Culture of Life in women’s healthcare to couples and families around the world. You will be able to watch the Beatification Mass of Pope Paul VI live on EWTN Sunday, Oct. 19 at 3:30 am and rebroadcast at 2 pm. Check your local listings or watch online at EWTN.com. 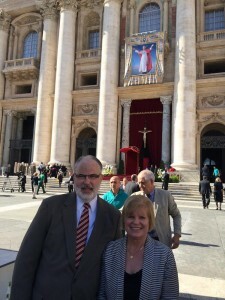 Deacon Tom Fitzgerald and his wife Marilyn share more than just a marriage; for the past 26 years, they have shared a common workplace, the Pope Paul VI Institute, where Deacon Tom works in the publications department and Marilyn works as an RN. The roads which initially led them to the Institute are as different as their jobs. Following the completion of her nursing studies in 1988, Marilyn was seeking a job where she could help people, and she was drawn to the Pope Paul VI Institute and the work being done by Dr. Thomas Hilgers. Tom, meanwhile, a Deacon at St. Margaret Mary Church in Omaha, took a part-time job with the Institute mailing out packets to students in the Institute Education Program — a job which would eventually grow into a full-time position. 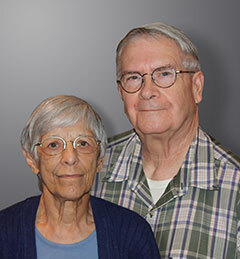 Twenty-six years later, the couple has witnessed many changes at the Institute. Most notably, tremendous advances in technology have had a profound impact in their respective areas of publications and patient care. Despite the challenge of these ever-evolving professions, the Fitzgeralds have found a home at the Pope Paul VI Institute. In addition to his responsibilities in the publications department, Tom also serves as resident Chaplain, where he assists with mass services in the Chapel. As an RN, Marilyn has the opportunity to work with patients on a day-to-day basis and sees first-hand the impact the Institute has on these women and families.